Have you ever wanted to collide atoms, produce new isotopes, split them and all this stuff only big research facilities can do? Well, you can't do that here either, but you can simulate it. However, the atoms and isotopes 'produced' here could be absolutely unstable or non-existant in reality, a plausibility check for these nuclei is not made. 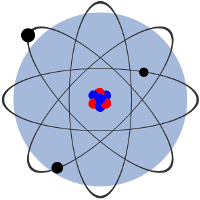 Have fun playing around, maybe learn something, create your own atomic nuclei as you like them. The number of the resulting nucleons of each action will be calculated.